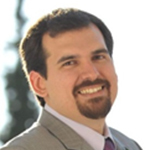 Dr Marios S. Katsiotis was awarded his PhD in Photocatalytic Construction Materials in 2009 from the School of Chemical Engineering at the National Technical University of Athens. During his thesis he worked on advanced microscopy and spectroscopy techniques at the National Centre for Scientific Research “Demokritos”. During his post-doctorate at The Petroleum Institute (Abu Dhabi, UAE), he worked on the development of functional materials including nanocatalysts for petroleum refining and carbon allotrope nanocomposites; his contribution was instrumental in establishing a world-class network of excellence with collaborating partners from Greece, UAE, Korea and USA. Recently, Dr Katsiotis joined TITAN as the Group Research & Innovation Manager, responsible for the coordination and implementation of research projects aiming at sustainable new products and services. Titanium dioxide (TiO2 – titania) has been long established as an exceptional photocatalytic material with significant application in the development of self-cleaning materials, ranging from fabrics and dyes to ceramics and cement. Limitations associated with its large band gap and short lifetime of photogenerated species, indicate the necessity for optimizing the TiO2 structure towards the efficient and extended photocatalytic capacity under natural sunlight conditions. Specifically for cement-based materials, the hydrophilic nature of TiO2 very often results in sedimentation of the photo-catalyst in the cement matrix thus reducing the exposed surface able to adsorb and oxidize air pollutants. Aiming to address the above mentioned issues, titania nanoparticles with optimized hydrophobic properties and photocatalytic capacity in the visible range have been prepared. The modified titania were successfully combined with cementitious materials for the development of novel self-cleaning composites with remarkable photocatalytic activity for NOx removal under both UV and visible light.